Oh, how I miss the heyday of symphonic black metal. Back in the late 90’s, when I first began delving into black metal, bands like DIMMU BORGIR and CRADLE OF FILTH were among my favorites in the genre. Unfortunately, both bands have long since devolved into cartoonish self-parody, and it’s been a very long time since I’ve given symphonic black metal the time of day. Then I got my hands on TOTENGEFLUSTER’S new album Vom Seelensterben, and I’m pretty stoked. 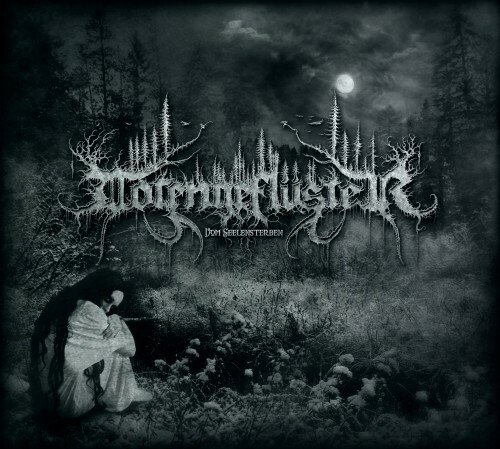 TOTENGEFLUSTER manage to nail all the good things about symphonic black metal (i.e. grandiose musicianship, morbid theatricality, and frightening atmosphere) while avoiding all the things that make it ridiculous (i.e. silly costumes, pretentious literary themes, and annoyingly long orchestral breaks). Aside from solid musicianship, the album’s physical packaging is also impressive thanks to the efforts of band member and graphic artist, Totleben. So, not only are you getting a solid album in Vom Seelensterben, you’re getting some wicked eye candy as well. If you’re a fan of early CRADLE OF FILTH, you definitely want to give this album a spin. It’s well worth your time.